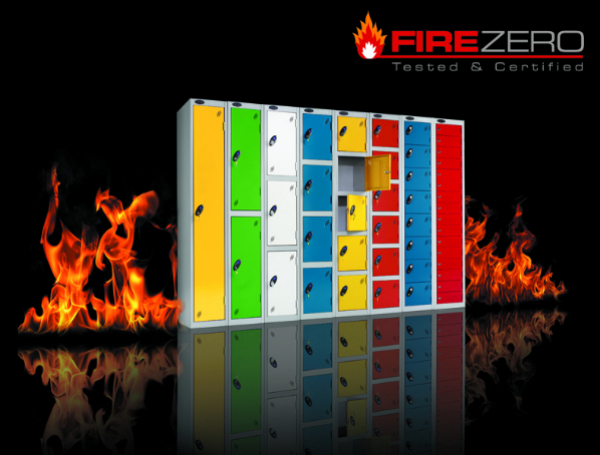 Fire Zero Lockers are now certified !! Our Probe steel locker products have been tested as ‘non-combustible’ i.e. they will not combust, increase or sustain any fire within their proximity. This is groundbreaking product development which makes the Probe Lockers the best locker choice for use in educational buildings and public areas. These wedge shape lockers are great for creating central locker areas in open plan environments. If you have a project please let us quote best prices !